Zuko. I drew this for a meme I was working on for Deviantart :/ I liked how it turned out and figured I post it here :]. 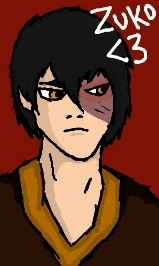 Wallpaper and background images in the Avatar The Last Airbender club tagged: avatar the last airbender zuko.